I think that most people who enjoy writing fiction and have made any serious attempt at completing a larger project are familiar with The New Shiny™. For those of you who aren’t familiar, The New Shiny™ is that new idea that glimmers at the periphery of your field of vision, distracting you while you try to complete some other, often more pressing, project. In the Sims 2 section of Neighborhood 99, the Sims forum that I frequent, we tend to call it seeing a squirrel (with the implication of getting so distracted by the squirrel that you abandon whatever you were doing before it showed up). 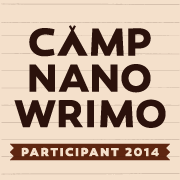 NaNoWriMo and projects like it, such as Camp NaNoWriMo now in April, seem to be like a magnet for New Shinies™. They turn up out of the blue and, much like a siren, do their damnedest to lure you away from that manuscript that needs proofreading, that project that needs it’s final edits and even those dishes that need to be washed. They whisper promises of fingers flying over keyboards as you crank out hundreds, even thousands, of words per day. They entice you to live in the moment, to ignore that voice in your head that’s reminding you that the sensible thing, the practical and clever thing to do in this situation is to finish what you’re working on before starting on something new. They are sneaky and seductive and damned near irresistible, even to those of us who are trying hard to get “it”, whatever it is, done. Therefore, during Camp in April, I have decided that the best thing for me to do… is to spend the month chasing a shiny squirrel across my keyboard. It’s not the cleverest thing to do. It’s not the most practical thing to do. It’s not the thing that will get my first Kindle novella published the soonest. But when push comes to shove, to me NaNo (and it’s Camp counterparts) are fundamentally a speed writing, or rather speed drafting, project. I know a lot of people do a month of editing and other things sometimes and that’s cool too, but it just doesn’t create the same feeling for me as doing it the “traditional” way and just writing. I want to see my wordcount rise ever day! I want that silly PDF certificate that says I “won”! So that’s what I’m going to do. Luckily, April will be quite a calm month for me in terms of everything besides writing. I will be between classes and only working half-time. With that in mind that, doing Camp shouldn’t stop me from also being able to make progress on Going Home. It still need a blurb and a cover as well as it’s final edits, and I need to do a bit of research on publishing platforms. All that stuff is so new to me that working on it is a slow and somewhat scary process, but I’m trying to take one or two baby-steps every week. In the end I think being high on words for a month will probably help rather than hinder my progress. Oh, and in case you’re curious, my Camp project will be a speculative fiction novella featuring time-travel, a cave and probably a lot of cuddling. 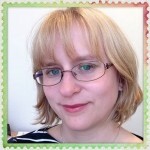 This entry was posted in Camp NaNoWriMo and tagged camp nanowrimo, going home, ideas, nanowrimo, prose, shiny squirrel, speculative fiction by Emma Lindhagen. Bookmark the permalink. I’m working on a new project too, Emma! I also love watching the wordcount bar go up 🙂 Good luck!